1. 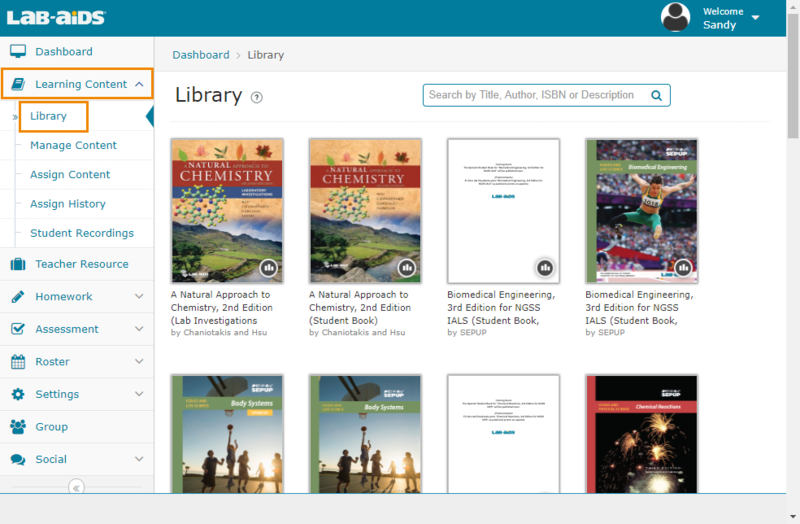 Student Content: Click Learning Content > Library: Displays titles that both you and your students have access to. 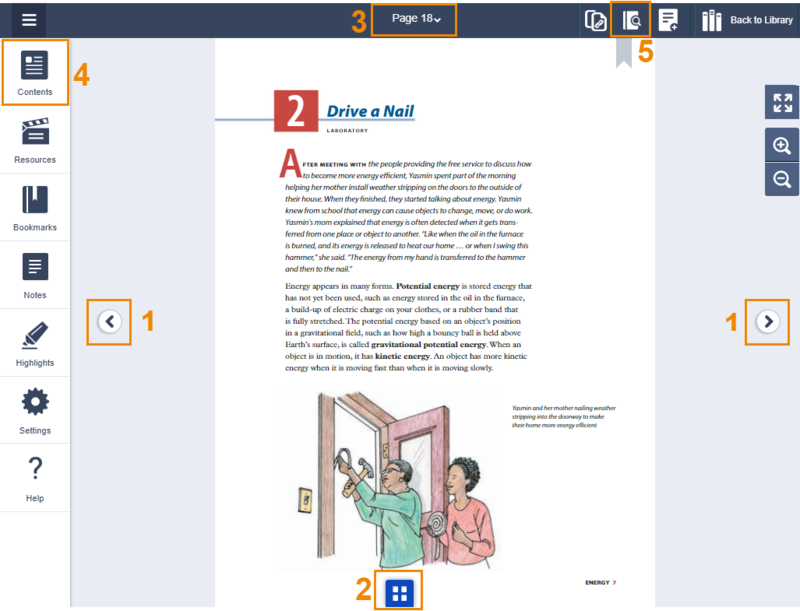 Teachers can view the student books here. 2. 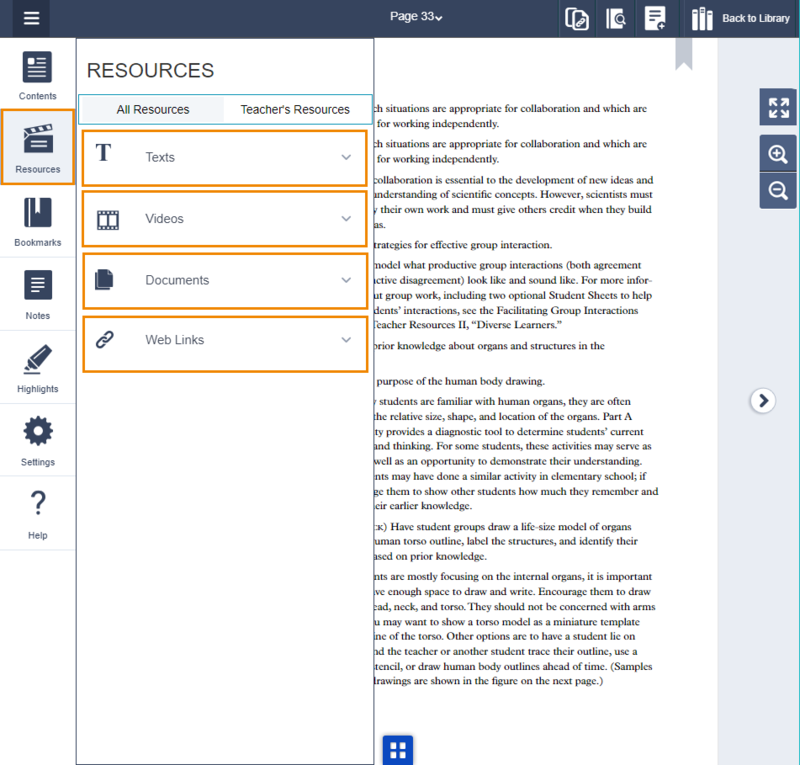 Teacher Content: Click Teacher Resource: Displays titles that just you have access to as the teacher. 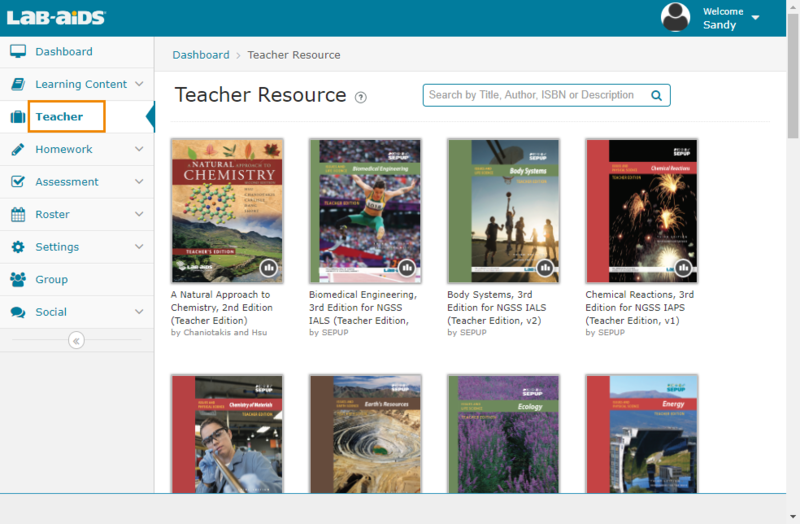 Note: If you are logged in as admin instead of a teacher, your teacher and student resources will be together in the same place, under Content > Library. 1. 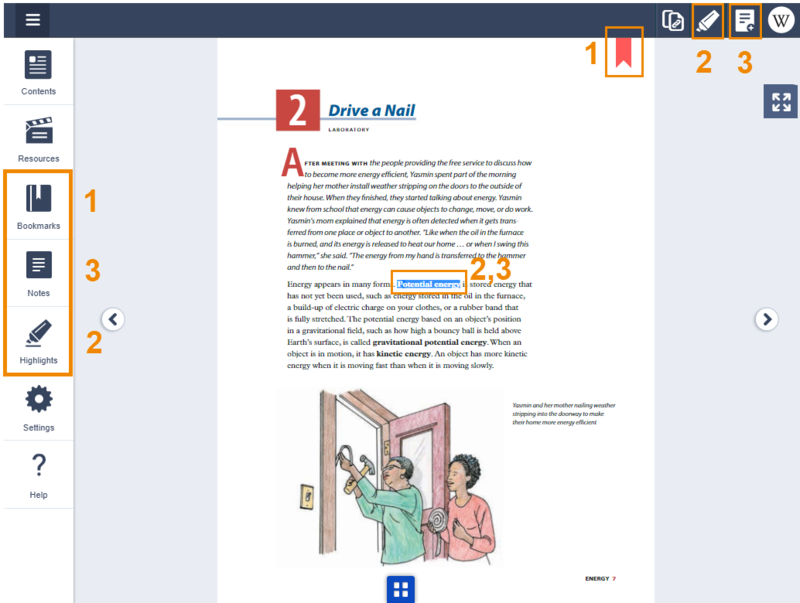 Page 1 of each book: Page 1 of each student/teacher book provides a list of all downloadable resources, web links, etc. 2. 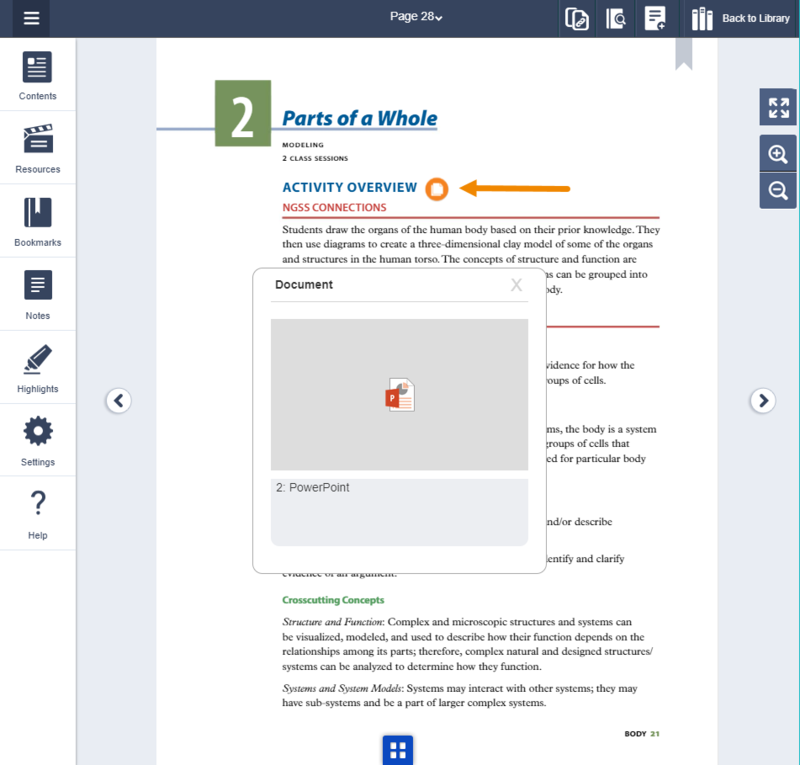 Within the activity in the book: Hotspot links to resources will be found throughout the activity wherever it makes sense -- the first page of each activity, the second page of the activity, in the materials list, etc. There are three different types of hotspots. 1. Bookmarks: Click on the bookmark icon on the top right of each page to bookmark the page. You can then view all bookmarks by clicking on the "Bookmarks" option on the left menu bar. 2. 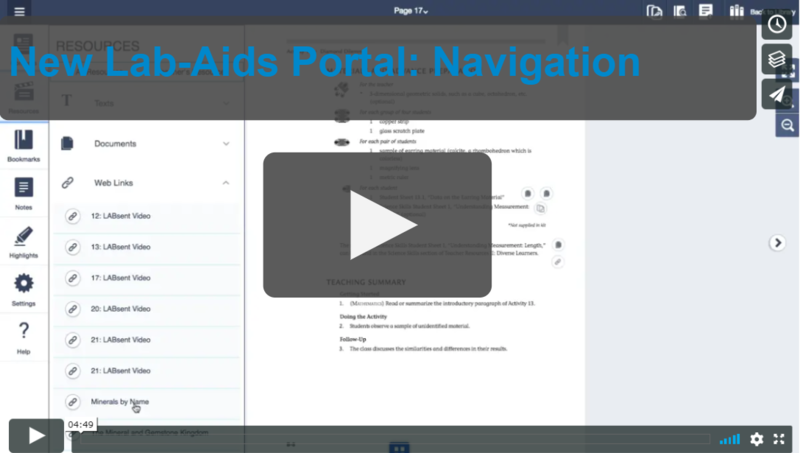 Highlights: Highlight text first, and then the highlighter icon will appear in the top right of the page. Click the highlight icon to choose a highlight color and save. You can then view all highlights by clicking on the "Highlights" option on the left menu bar. 3. Notes: Click the "Note" icon that is in the top right corner of the page. Add note, click Save. 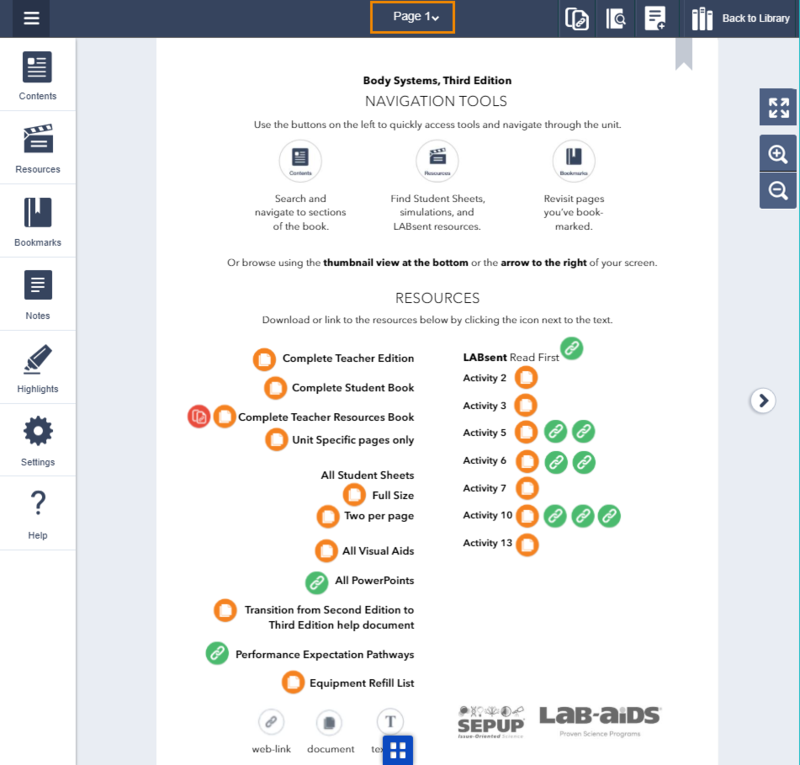 You can then view all notes by clicking on the "Notes" option on the left menu bar.